WASHINGTON — Automotive interests are united in opposing proposed White House tariffs on autos and auto parts. For months, they have been coordinating advocacy and education efforts to show administration officials how trade restrictions would damage a globally integrated industry. It's becoming increasingly clear that traditional lobbying efforts are ineffective with a president who has reveled in provoking conflict with U.S. trading partners and an administration that perceives the global trading system as so inherently unfair to the U.S. that it's worth blowing up. With steel and aluminum tariffs in force against key U.S. allies, another tariff war set to begin with China and more trading partners pledging to retaliate against U.S. exports, the administration's trade campaign has already stirred more disarray in global trade than the auto industry feared when Donald Trump was on the campaign trail. And there is little hope Trump and his close trade advisers will pull back, especially when the president remains fixated on the US$200 billion trade deficit in autos. The only chance for reversal, some observers here say, is massive political pressure generated by TV visuals of factories closing and blue-collar workers in unemployment lines because of Trump's tariff decisions. The take-no-prisoners approach was crystallized last week in a statement from U.S. Trade Representative Robert Lighthizer. In it, he issued a blistering attack on the European Union for retaliating against the U.S. for imposing the metal tariffs based on a national-security rationale that most trading partners view as a pretext for protecting domestic producers and evading a challenge through the World Trade Organization. The U.S. actions "are wholly legitimate and fully justified, both as a matter of U.S. law and WTO rules," he said. "By contrast, the European Union has concocted a groundless legal theory to justify immediate tariffs on U.S. exports." His statement is no surprise given the Trump trade team's history of antipathy toward the rules-based global trading system. Lighthizer, for example, spent decades as a trade remedies practitioner, bringing case after case against foreign competitors before U.S. regulators on behalf of domestic steel. His top lieutenants at the U.S. Trade Representative's Office, who came from the same Skadden Arps law firm, share his suspicion of key trading partners and his approach to defending U.S. interests. Their voice has been amplified in recent months. During Trump's first year in office, counterweights such as economic adviser Gary Cohn, National Security Adviser H.R. McMaster and Secretary of State Rex Tillerson restrained the president from antagonizing allies with aggressive trade actions, but those aides are gone. For the auto industry, that means the threatened tariffs on imported vehicles, once dismissed as a bargaining ploy, appear inevitable after an accelerated Commerce Department investigation into the national-security impact of auto imports. Commerce Secretary Wilbur Ross has suggested the investigation, which Trump ordered at the end of May, could be wrapped up by August. That means a barely two-month review of one of the largest manufacturing sectors in the nation, which imports US$360 billion worth of vehicles and components each year, compared with US$47 billion for the steel and aluminum industries. For the metals investigation, the Commerce Department took the full nine months allowed by law. Following that schedule, the auto review would be completed by mid-February, with the president having 90 more days to determine what recommendations to follow. Yet Trump has made clear, according to news reports, that he wants to announce tariffs on imported autos before the midterm elections so he can show his political base that he is defending American workers from foreign competition and fulfilling a key campaign promise, even if it means alienating the industries that employ those workers. "This is all just window dressing," Gary Hufbauer, a trade expert at the Peterson Institute for International Economics. "What Trump is after is a couple of sound-bite headlines" — provided, he said, that those headlines don't say, "Thanks to these policies, your auto will cost US$2,000 more." Hufbauer predicted Trump will confine the auto tariffs to luxury vehicles from Europe, barring any EU decision to get rid of its 10 per cent tariff on autos, while reaching a quota agreement with other nations that mostly export mainstream vehicles. That will allow him to argue that BMW, Audi and Mercedes buyers can afford the tax, while he looks after the middle class. 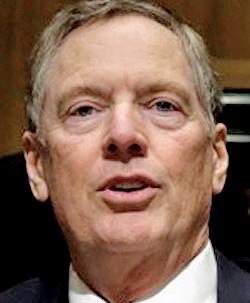 Lighthizer specialized in negotiating quotas with Japan when he worked in the Reagan administration, Hufbauer noted. The impact of quotas is less visible to the consumer than a direct tariff, he said. Countries prefer quotas because any increase in price because of supply shortages accrue to the exporter rather than being collected by the U.S. government. Either way, auto executives should make contingency plans to avoid the impact of tariffs, including retaliatory measures by trading partners, trade experts say. Quintessentially American motorcycle maker Harley-Davidson, for example, said it would move some production overseas to avoid an EU retaliatory move targeting motorcycles, while Fiat Chrysler Automobiles is looking at how to restructure its supply chain if the U.S. imposes auto tariffs or scraps NAFTA. For tariff opponents looking for Congress to intervene, don't hold your breath, experts say. Although some lawmakers have become more vocal about Trump's trade actions — retiring Sen. Bob Corker, R-Tenn., proposed a bill to limit the president's authority to order tariffs on national-security grounds — most Republicans in Congress are reluctant to challenge the president's course, lest they face repercussions in coming elections. Plus, Trump would veto any legislation to curtail his trade authority. The best hope for getting Trump to reverse course on auto tariffs may lie with Fox News, said Ashley Craig, co-chairman of the international trade practice at the Venable law firm. Experience shows that Trump rarely buckles to criticism. Only when matters erupt publicly and visibly — such as with the outcry over the separation of migrant families at the southern border and TV footage of children in detention centers — and Trump's "go-to folks at Fox began to speak out against it," does he relent, Craig said. Craig added, "Taking that into the trade arena, the only thing I could see happen is you start to see workers complaining, protesting because the trade policies backfired and they no longer have jobs."